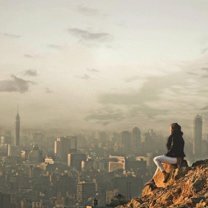 While tourists may flock to Cairo for the neighboring pyramids, it’s the chaotic modern city that captures their hearts. On the one hand, Cairo is ancient and humbling, but on the other, it’s contemporary and hectic. Between the ancient mosques and modern city streets, discover the city on the doorstep of history that has enchanted visitors for thousands of years. The Greater Cairo area covers over 1000 sq. km., and has a population of around 20 million, making it the largest urban area in Africa. 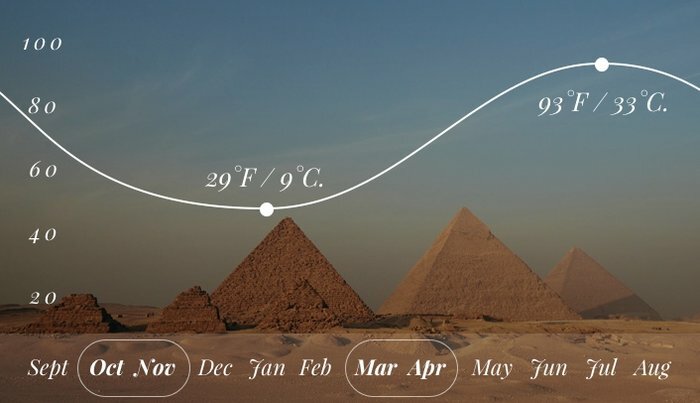 Summer is sweltering in Cairo, so peak tourist season is in the winter when temperatures drop significantly. However, tourist time means plenty of crowds, making Cairo’s famous attractions more difficult to experience. Visiting in the late fall or early spring will allow you to miss most of those crowds and still enjoy fair weather. 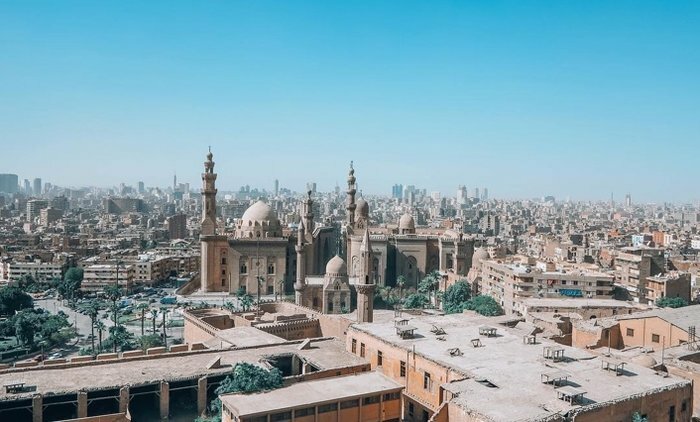 Cairo has been around since around 900 CE, so you can imagine, there’s a lot to see. Outside the pyramid complex in Giza, the best historic sites can be found in Old Islamic Cairo. 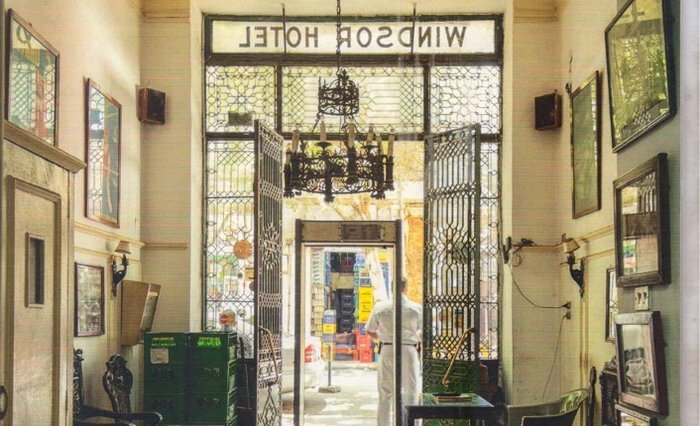 Admire the graceful architecture of every hammam, souk, and mosque in the ancient quarter. 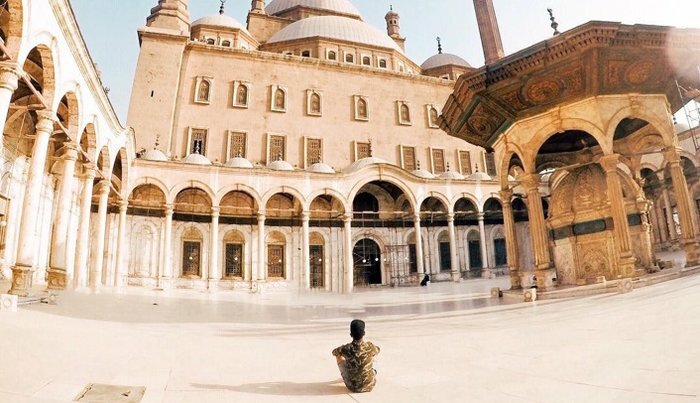 Spend the whole day exploring sites like the Mosque of Ibn Tulun, Sultan Hassan Mosque, and the Cairo Citadel. When the sun goes down, stroll down Moez street, pausing in cramped cafes or just admiring the city lights. 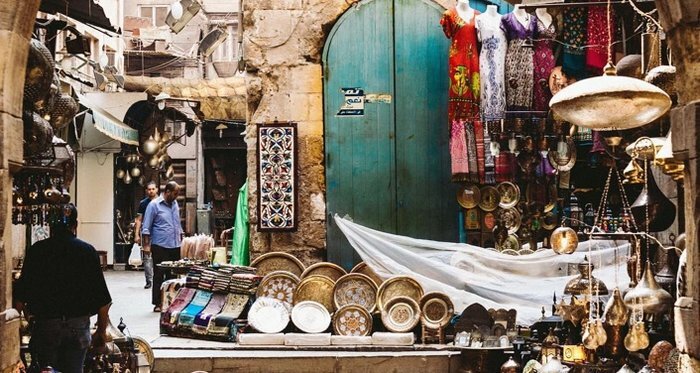 With narrow alleys piled high with baubles, and noisy people bargaining in front of every store, Khan el-Khalili is where the action is. This sprawling market has everything from precious stones to essential oils to kitschy tourist trinkets. 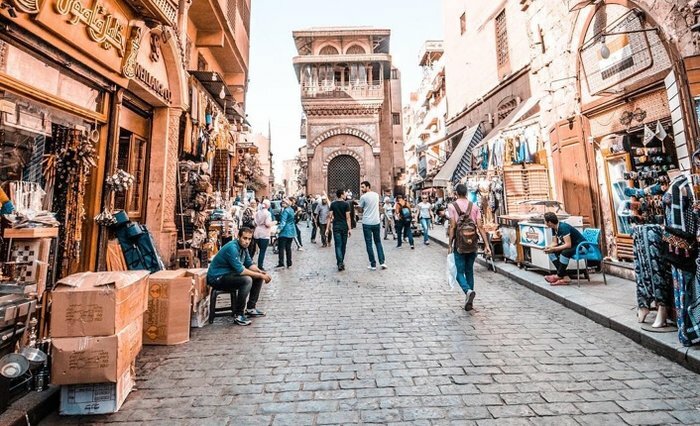 Discoverer Fernando recommends stopping by El Fishawy, the oldest cafe in Cairo where you can sip sweet mint tea and take a break from the chaotic souq. Something From This Century, Please? 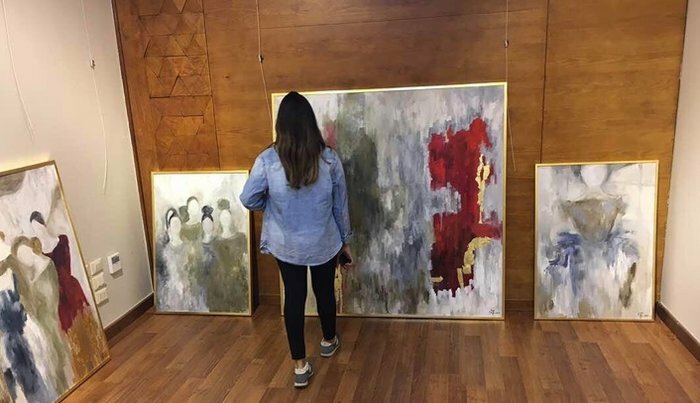 Museums and mosques are essential Cairo stops, but if you’re ready for something a little more modern slip over to Zamalek. This dynamic neighborhood is home to several modern art galleries and the Museum of Modern Egyptian Art. At night check out the local art scene. 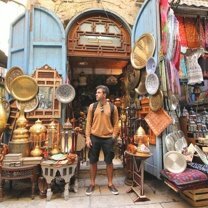 Discoverer Yousuf recommends Darb 1719 and 3elbert alwan for anyone looking for a local, cultural experience. 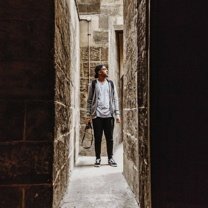 A bit of drive from Cairo proper, this off-the-beaten-path discovery is an incredible experience. 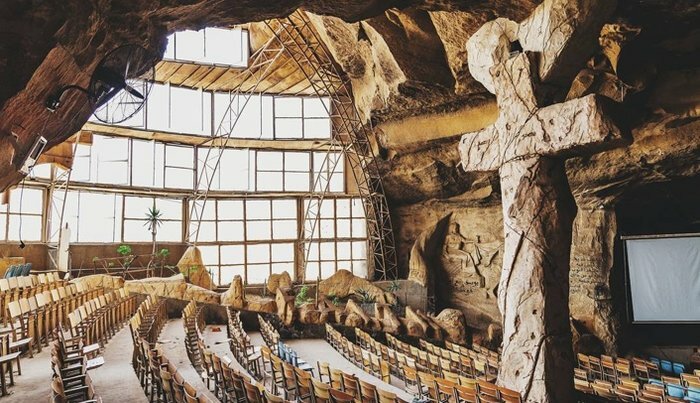 The Coptic Cave Church is carved into a massive cliffside, and seats 20,000 people, making it the largest church in the Middle East. 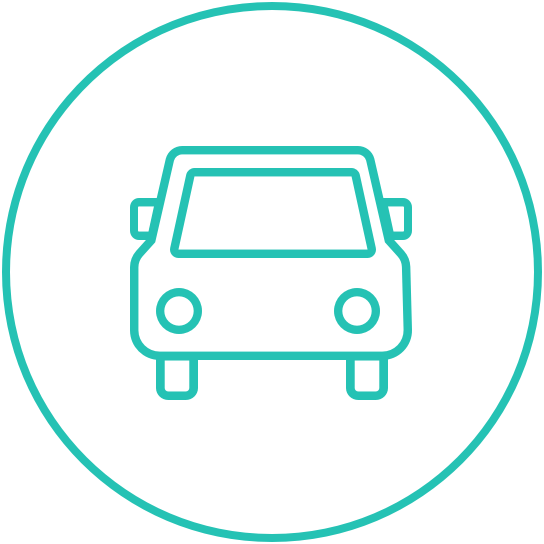 Getting there is also an experience, as you pass through “Garbage City”, named such for its landfills and recycling centers. 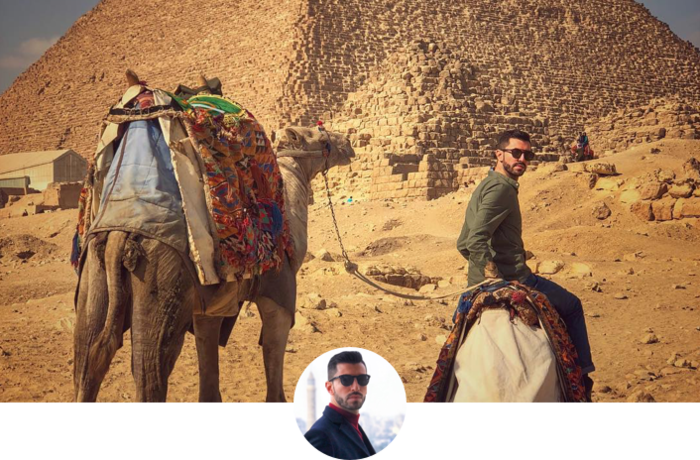 This more impoverished area shows a different side of Cairo that, while not a classic “tourist” destination, is no less vital. 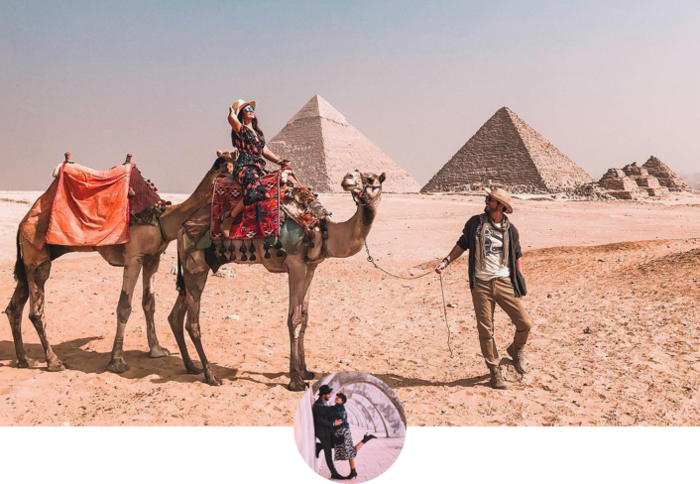 "Being able to stand in front of the Pyramids and the Sphinx facing one of the seven wonders of the world was just surreal and breathtaking. For a second I went back in time to ancient Egypt. This made my journey unforgettable and unique. Discovering is my passion, and I am constantly surprised at the flavors the world has to offer." Social life in Cairo revolves around cafes, and if you ask a local for a hidden gem they’ll point you to their favorite corner coffee shop. 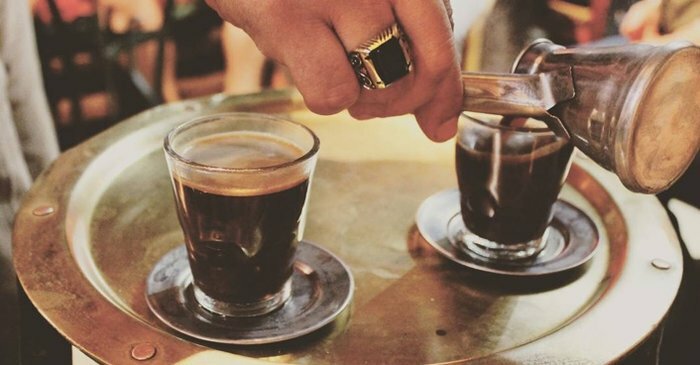 From Cafe Riche to Harawi Cafe, the opportunities to drink Turkish coffee, sample hookah, and hang out with locals are endless. And when it’s time to order some food, you can’t go wrong with koshary. This local dish can be found everywhere and is a mix of pasta, rice, lentils, onions and spicy tomato sauce. Plus it’s 100% vegan! 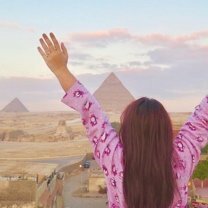 Whether you’re looking for total luxury or traveling on a strict budget, Cairo has something on all ends of the spectrum. 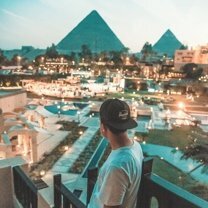 From the lavish Four Seasons Cairo to the popular Sofitel to the inexpensive yet historic Windsor Hotel you really can’t go wrong with a night in Cairo. 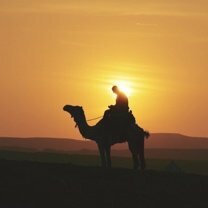 To help narrow your choices, our Discoverers recommend staying in the hotels in Zamalek near the Nile or Heliopolis. 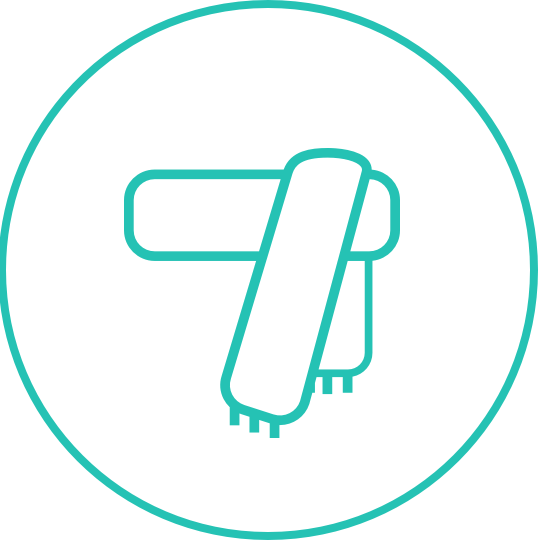 If Airbnb is more your style, choose something in the Al Maadi or Zamalek neighborhoods. "We Discover To... open our minds and grow." 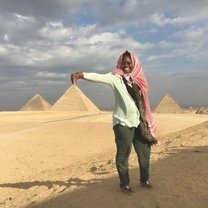 "A very interesting and surprising experience we had in Cairo was the relationships we made with the people, especially with the young ones. We remember how they observed us while we were taking pictures, trying to avoid the crowds and making strange poses. Then, suddenly a group of children approached us asking for a selfie together. And from that moment, all the children wanted a picture, treating us as if we were Hollywood stars, but of course always being polite. We couldn’t imagine this happening in such a modern country that has received millions of tourists. We thought that children were used to seeing foreigners. But maybe after the revolution, the tourism stopped and young children did not have the opportunity to see many tourists. 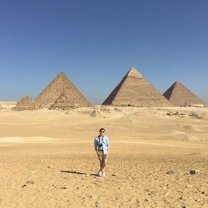 This is a big problem for Egypt since their main income is from tourism. They are doing all the best to preserve the security and we felt very safe there."